Everyone experiences stress in one way or the other due to challenges encountered on a regular basis. So many things can cause stress, from losing a job, school work, a relationship break-up to meeting up with the many deadlines of your job. When you have deadlines staring you in the face and you’ve racked up your stress mileage. Who has time for healthy eating? 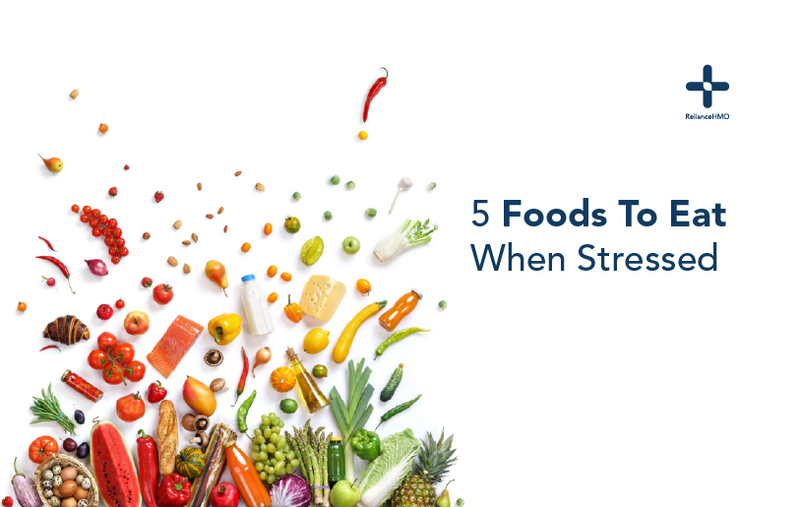 This is unfortunate because what you eat may help manage your stress. Most times when stressed, we find ourselves reaching out to comfort food as an emotional drug. Comfort foods are quick fixes that eventually leave us feeling sluggish with an increase in body weight. Actively managing stress requires both diet and lifestyle changes. Walnuts are one of the richest sources of omega 3 fatty acids; a chemical compound known for optimizing brain function and reducing stress. This essential fatty acid (omega 3 fatty) are used in making cell membranes of neurons and help with neurotransmitter function. Various studies suggest walnuts may have beneficial effects on managing stress and depression. You can manage the effects of stress by eating almonds. This crunchy snack is rich in vitamins B2 and E. Both vitamins help bolster the immune system during times of stress. Turkey meat is full of tryptophan, an amino acid that signals the brain to release the feel-good chemical serotonin. It is also rich in zinc; a mineral good for fighting anxiety and depression. Cashews nuts are linked to reducing not just anxiety, but also warding off mild depression and general stress. Most people with anxiety and depression have. Salted or raw, this nut is a rich in zinc.